Village View Post: BELIZE MAYA 2012- WHERE WILL YOU BE WHEN THE WORLD BEGINS ANEW? BELIZE MAYA 2012- WHERE WILL YOU BE WHEN THE WORLD BEGINS ANEW? December 21, 2011 marks exactly one year until the end of the Long Count, a 5,125-year cycle of the Maya Calendar. Belize, with its significant Maya heritage and modern-day Maya population, is gearing up for this momentous occasion with a series of events and initiatives that will celebrate this significant point in the Mayan cosmology. The ancient Maya were the scholars and scientists of the Yucatan, pioneering mathematics, astronomy and writing systems that remain central to human societies around the world. What is the real significance of 2012 to these early astronomers and scientists? According to the Maya,December 21, 2012 signals the world's transition into a new era. Some believe this transition will be peaceful; others warn it will be nothing short of explosive. But there's one thing everyone can agree on: traveling to the Mundo Maya in the year 2012 is an once-in-a-lifetime opportunity-and it's not to be missed! In the past, scholars believed Maya civilization was not fully established until about 300 A.D., at the start of the Early Classic period. Recent research, particularly in the heartland area of Belize, has provided conclusive evidence that ancient Maya civilization was actually in full bloom centuries before, in what is known as the Late Pre-classic period. By this early date the Maya were already carving stelae and altars, conducting long-distance trade, utilizing mathematic and calendar systems, and constructing monumental architecture. At Lamanai, for example, the tallest building at the site (known as the High Temple) was erected during the Late Pre-classic period. In the Cayo District, both Cahal Pech and ActunCan have carved stelae that date to Pre-classic times. In northern Belize the sites of Cerros and Lamanai have Pre-classic masks that exhibit some of the earliest examples of monumental art in the Maya world. But how and why did the ancient inhabitants of Belize and Central America develop such complex societies? Today, we know Maya civilization was the result of a gradual process that combined a number of inter-related factors. The Maya area is ecologically diverse and provided all the necessary resources required to support a complex civilization. The development of intensive systems of agriculture allowed the Maya to produce surpluses, to sustain large populations and to encourage some people to become craft specialists while enabling others to assume political control. The fact that different areas had access to different resources also led to the establishment of a well-organized system of trade and exchange. While Belize is not the only country in the region with rich Maya history, it is notable within the Mundo Maya for several reasons. First, Maya make up 10% of the country's population, a thriving and vital cultural community central to Belizean identity. Second, Belize is home to many ancient archaeological sites, including the remnants of the sprawling metropolis of Caracol. The country's archaeological sites are recognized worldwide by archaeologists as a treasure of humanity and many are active research sites. The archaeological sites in Belize are as popular among visitors as many of the other cultural and natural gems for which this Caribbean paradise is renowned, including its barrier reef, dive sites, and lush jungle. In fact, even before the countdown to December 21, 2012 began, the country began seeing a marked increase in enquiries about our inland features, especially the many Archaeological sites. Maya village home stays, cultural tours and Belize's fascinating network of sacred Maya caves, some of which have only recently been open to the public, are also garnering more interest among travelers. Known as "Mother Nature's Best Kept Secret" and the epicenter of the Mundo Maya, the National Maya Committee is excited to unveil Belize Maya 2012 initiatives, inviting everyone to experience the rich history and culture of the Maya people. The Committee, consisting of representatives from the Belize Tourism Board, the National Institute of Culture and History, and industry partners, has spent several months developing events and activities highlighting the significance of the year. A Calendar of Events has been put together highlighting activities specific to the importance of Maya 2012 throughout the year. Each month is filled with numerous activities for any traveler or family. 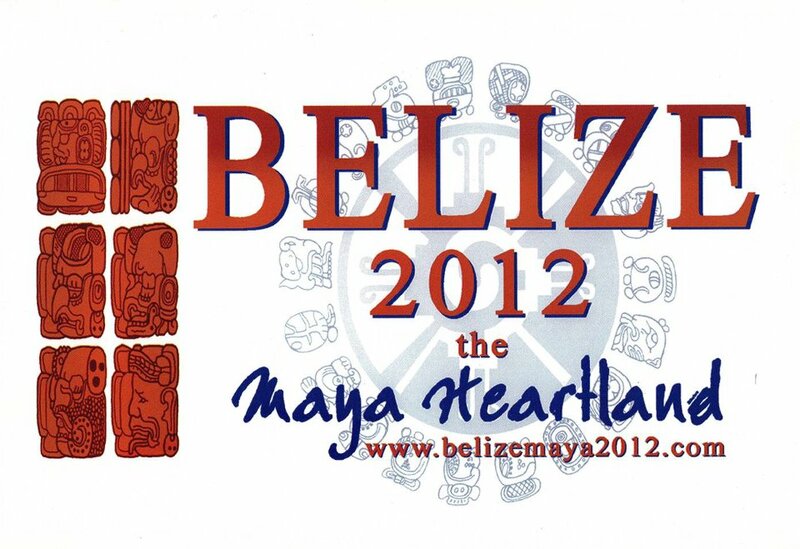 For more information on the Calendar of Events for 2012, please visit us atwww.belizemaya2012.com. In addition to the Calendar of Events, a first-of-its-kind Maya 2012 Passport has been developed. 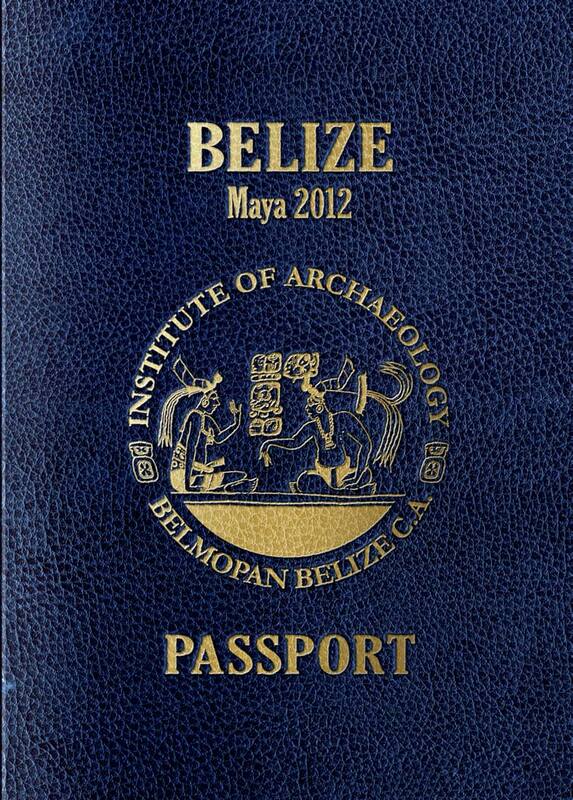 The Maya passport, which will be individually stamped at each of Belize's main archaeological sites, including Altun Ha, Barton Creek Cave, Cahal Pech, Caracol, Cerro Maya, El Pilar, Lamanai, Lubaantun, Nim Li Punit, Nohoch Che'en, Serpon Sugar Mill and Xunantunich, will be available for travelers from December 21, 2011 to December 21, 2012. The passport will be made available at a cost of US $25. 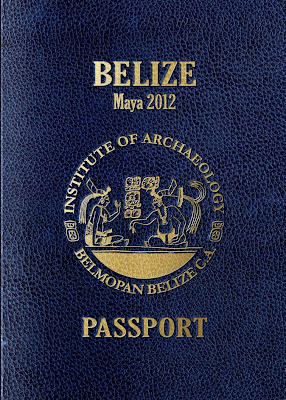 As a part of Belize's year-long national celebration of the completion of a 26,000 year cycle of the Maya Long Count and the long awaited Winter Solstice of 2012, this passport, which has been designed as a sovereign, will be for travelers interested in visiting the country's mysterious archaeological sites and learning more about the Maya temples throughout Belize. The passport also includes background information and maps for all of the participating sites. 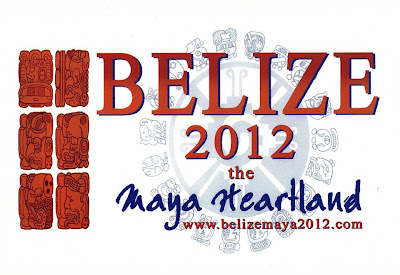 "2012 will be a momentous occasion, not only for Belize's large Maya population, but for all Belizeans. Given the amount of interest we're seeing from around the world, it's generating global excitement as well," said Yanick Dalhouse, BTB's Director of Marketing. "People are also discovering they can be married at ancient archaeological ceremonial centers, have truly exotic honeymoons, or create their own unique experiences while exploring the fascinating Maya culture," added Dalhouse. She also indicated that the Maya Passport is just one of many initiatives the Belize Tourism Board, NICH and other tourism industry partners will be rolling out. Other activities include signature Equinox and Solstice Events. The Equinox is a time when the sun is directly at midpoint of the Earth, making both the days and the nights of equal length. To capture this event, the Ancient Maya build specific buildings such as the E - groupings that mark the alignment of such rare celestial occurrences. Belize welcomes travelers to take part in Equinox Celebrations at Caracol Archaeological Site on March 20-21, June 20-12, September 20-21 and December 20-21 of 2012 respectively. Given the allure of Belize's Archaeolpogical sites and the mystery shrouding December 21, 2012, the National Institute of Culture & History (NICH) in Belize has also decided to allow visitors with a once-in-a lifetime opportunity: witness the rising sun over the structure of Caracol while celebrating the spring and Summer solstices or the vernal and autumnal equinoxes. Limited to 100 guests per event, the Maya Equinox Celebrations will allow travelers to camp overnight at Caracol on the evening of the 20th in the given month. Upon arrival, on the 20th, guest will be given a tour by Dr. Jaime Awe, followed by a traditional Maya meal of cochinito en pibil, tamales and more in the Caracol camp kitchen. The camping party will welcome the morning of the solstice or equinox with a traditional fire ceremony, performed by a native Maya Shaman. After witnessing the rising sun over the temples, travelers will have a traditional Maya breakfast and then return to San Ignacio. "This is an extremely rare opportunity for travelers to actually spend the night at Caracol and witness the beauty of the rising sun on these sacred final days of the Maya calendar," said Dr. Jaime Awe, Director of the Institute of Archaeology. "2012 is such a special year for the Maya and Belize as a whole. We're overjoyed to share it with our guests at these events." Tickets to the Maya Equinox Celebrations cost U.S. $150 per person and these tickets will be sold on a first-come, first-serve basis The price covers camping fee, site entrance fee, professional guide, fire ceremony and two meals. Certainly, this is another event we don't want to miss. For more information on where you can purchase tickets, contact the Institute of Archaeology in Belmopan at(501) 822-2106.